This image has two meanings for me. One, it is the first painting I did using my wife as a model. She didn’t know it then, but I married her in part because she is so damned photogenic and will provide me with many years of free modeling services. And two, because this is how I see her – and she beautifully reflects a concept I cherish. That of living with a deep sense of grace. A knowing that we will never be placed in a situation, no matter how desperate it may feel at the time, without the means to come out of it a wiser and more evolved person. With a ballerina’s poise, she balances atop an impossibly high pile of stones. 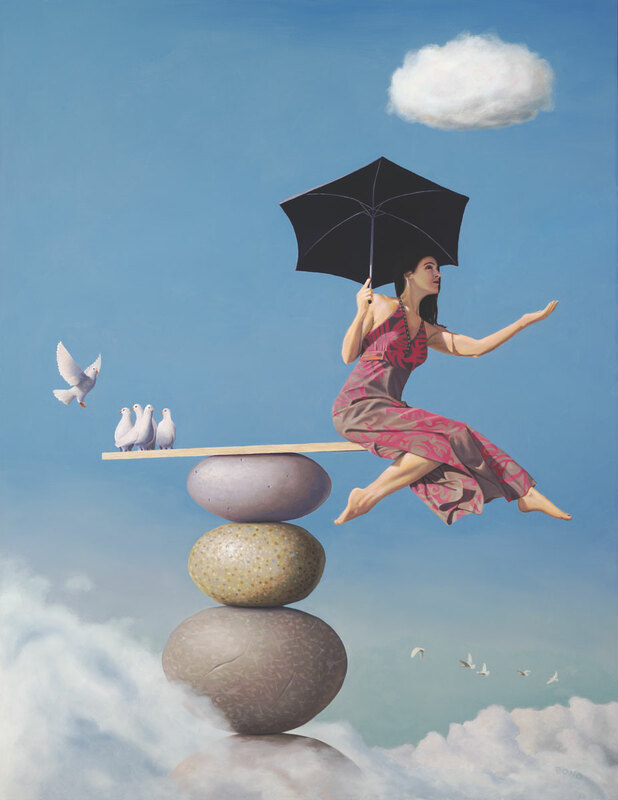 A small flock of doves flies in to counterbalance her weight. She checks the weather. Mostly sunny.